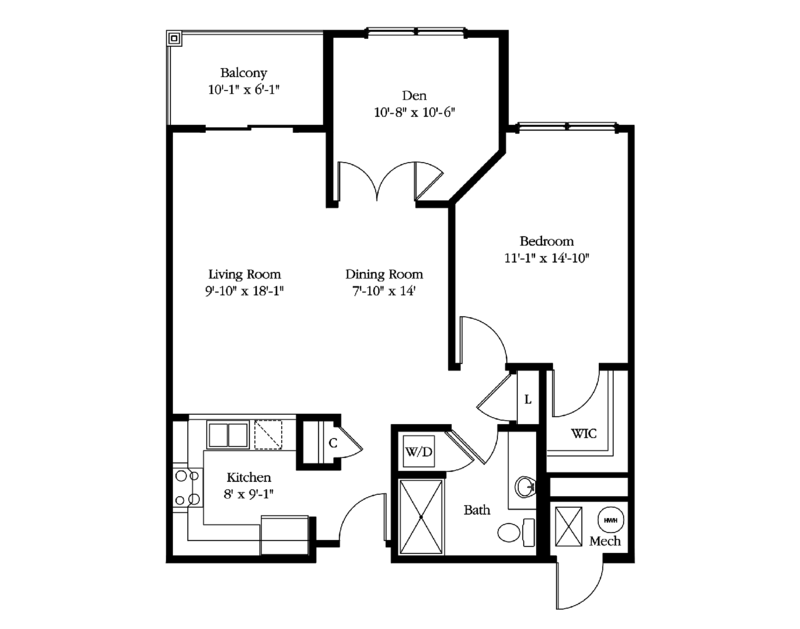 Our Dering floor plan variations are all about options. With a variety of layouts to choose from starting at 910 square feet, you can choose from an additional powder room or additional square footage. The essential design for those looking for simple living, the Dering offers boundless value with a variety of views to enjoy. Explore the possibilities in The Dering.